History remembers Robert F. Kennedy as he was in his crusade for president in 1968 – a racial healer, a tribune for the poor, and an advocate for our getting out of Vietnam. But Bobby had once argued equally passionately for intervening in Vietnam, he’d okayed the wiretapping of Martin Luther King Jr., and he launched his career as counsel to the left-baiting Senator Joseph McCarthy. 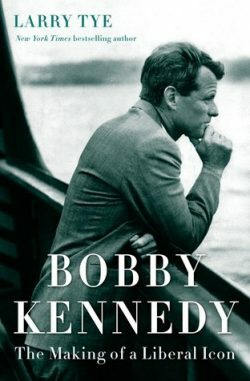 Larry Tye’s biography of Robert F. Kennedy, Bobby Kennedy: The Making of A Liberal Icon doesn’t shrink from his subject’s failings. But it also reveals the depths of RFK’s capacity to evolve, the awakening of his moral sense and his ability to empathize with the downtrodden. It’s what made Bobby Kennedy the repository of hope for a country looking to bind up the wounds of injustice and division. That hope died for many of us on June 6, 1968. Tye’s book shows us how Bobby Kennedy pointed the way to uniting our nation under the banner of social justice — and what we might learn from his example. When tyranny takes over, maybe the best form of resistance is to take care of your neighbors. That’s the premise of Stephen Kiernan’s novel The Baker’s Secret. Set in a small coastal village in Normandy on the eve of D-Day, It tells the story of Emma the baker and how she uses guile and ingenuity, as well as her talents as a baker, to keep her neighbors alive under the Nazi Occupation until her town’s liberation. 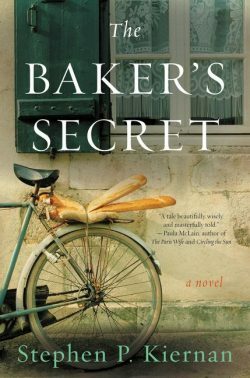 The Baker’s Secret is a tale of courage, determination, optimism, and the resilience of the human spirit. In addition to The Baker’s Secret, Kiernan is the author of the critically acclaimed novels The Hummingbird and The Curiosity.